The Watlington Hoard is believed to have been hidden by a member of the Great Viking Army in around AD879 during their manoeuvres through Oxfordshire. Discovered by metal detectorist James Mather in 2015, the hoard was purchased by the Ashmolean Museum for £1.35 million with the help of a substantial National Lottery grant. 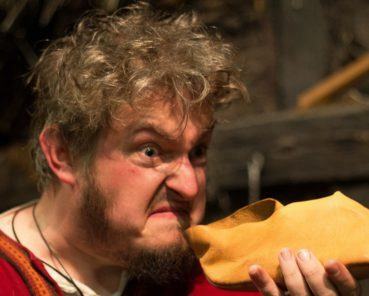 It will be on display in JORVIK Viking Centre from 7 February to 21 May 2018. The hoard contains a mixture of Anglo-Saxon coins and Viking silver, and has provided archaeologists and historians with a clearer understanding of the relationships between Alfred the Great of Wessex and Ceolwulf II. It also provides evidence for how the invasion of the Great Viking Army helped galvanise a unified English kingdom for the first time. “This is a superb collection of Anglo-Saxon coins, jewellery and ingots, as well as Viking ‘hack’ silver, which reveals so much about what was happening elsewhere in the country as York – which was now known by its Viking name, Jorvik – was growing in stability, strength and power as the Viking Northern stronghold. Facing strong opposition from Anglo-Saxon kings like Alfred and Ceolwulf II, the Great Viking Army eventually retreated back north, to what became the ‘Danelaw’ – but their presence helped stimulate and embolden Alfred to start to work towards a united English Kingdom,” explains director of attractions for York Archaeological Trust, Sarah Maltby. The Watlington Viking Hoard will go on display in JORVIK Viking Centre’s gallery, and will complement existing loans from the British Museum, which has been in place since the attraction re-opened in April. 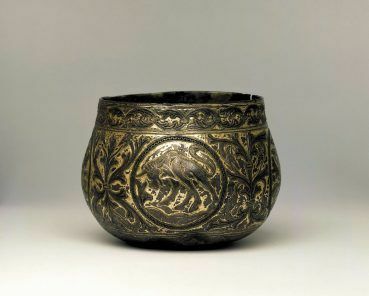 “When we were redesigning the galleries, we worked with top experts including Gareth Williams from the British Museum to ensure that we could provide a showcase for this country’s most important Viking artefacts, and indeed, visitors to the Festival can hear a special talk by Gareth on the hoard and its importance to our understanding of the Viking age. It is a real privilege that we can tell another part of Britain’s Viking story with the loan of this hoard,” adds Sarah. The reason why the hoard was buried remains – as is often the case – a mystery, but it seems likely that it was buried when the Vikings moved from Cirencester to East Anglia in AD879, along a Roman road then called Icknield Street (now known as the Ridgeway) which runs through South Oxfordshire and through the Watlington area. The location is on the borderlands between Mercia and Wessex at a time when the former kingdom was being swallowed by the latter. Few records remain explaining the collapse of the old order, so the hoard provides a contemporary snapshot – including incredibly rare coinage featuring the representations of the two kings – of the economics of the period. The hoard was purchased with the lead support of the Heritage Lottery Fund, which awarded £1.05 million to the Ashmolean Museum for the project Acquisition of the Watlington Viking Hoard in September 2016. 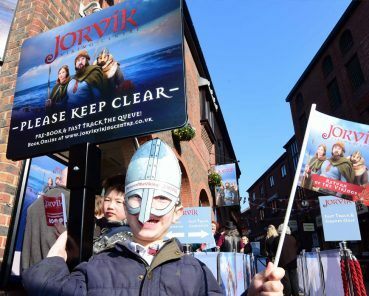 The funding also supports outreach and educational projects, of which the loan to JORVIK Viking Centre is part. The Ashmolean Museum raised the £1.35 million required to purchase the hoard of King Alfred the Great discovered in Watlington, Oxfordshire, in 2015. More than 700 members of the public contributed to the appeal. Lead support wasprovided by the National Lottery through a Heritage Lottery Fund (HLF) grant of £1.05 million to acquire the hoard and fund a range of educational and outreach activities. With a further £150,000 from Art Fund and contributions from private individuals and the Friends and Patrons of the Ashmolean, the Museum reached its fundraising target within days of the deadline. HLF awarded £1.05 million to the Ashmolean Museum for the project Acquisition of the Watlington Viking Hoard in September 2016. Thanks to National Lottery players, we invest money to help people across the UK explore, enjoy and protect theheritage they care about – from the archaeology under our feet to the historic parks and buildings we love, fromprecious memories and collections to rare wildlife. www.hlf.org.uk. Follow us on Twitter, Facebook and Instagram and use #HLFsupported.